Is it snowing in Tarvisio ?¡Gracias! Tarvisio in Italy (in the Friuli region) is a medium sized ski resort with 10 ski lifts ( 2 gondolas, 6 chair lifts, 2 surface lifts) that offers skiers an incredible 1030 metres (3379 feet) of vertical descent. 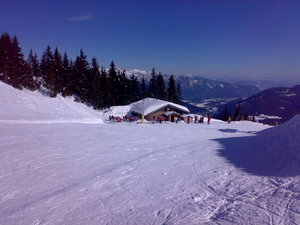 Tarvisio has 19 pistes. Tarvisio is best suited to intermediate skiers and snowboarders but there is some terrain for beginners and advanced skiers. Cross country ski trails can be found Tarvisio. The nearest airport is at Venice and the nearest train station to Tarvisio is at Tarvisio.